“It’s about a family that is close, a family that is flawed.” OWN has released new behind-the-scenes interviews with the cast of their upcoming series, Greenleaf. 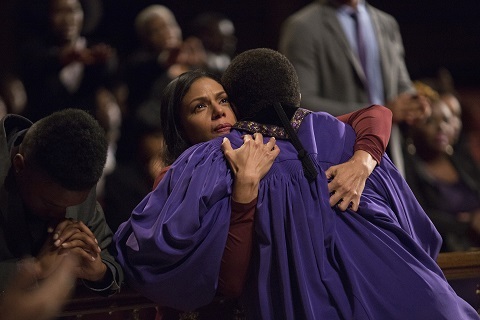 The drama centers on Grace Greenleaf (Merle Dandridge), the estranged daughter of a megachurch bishop (Keith David) who returns home after her sister’s mysterious death. Lynn Whitfield, Kim Hawthorne, and Oprah Winfrey also star. Greenleaf launches with a two-night premiere on June 21st and 22nd. What do you think? Do you watch OWN? Will you watch Greenleaf?